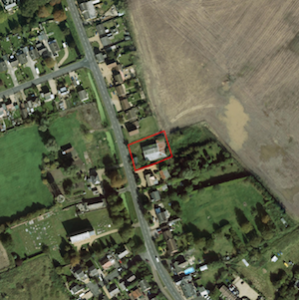 Due to the past uses of the site and the identified presence of asbestos containing materials on the site, a contaminated land planning condition was attached to the decision notice for the application to erected two dwellings on the site of a former agricultural building. Demeter Environmental were commissioned in September 2014 to prepare a desk study report to discharge the first part of the contaminated land planning condition (Condition 10i). The review of the historical O.S maps revealed that the site was undeveloped until circa 1983 when the current building was identified. The building was identified on the 2014 O.S map, aerial plates and Streetview images. 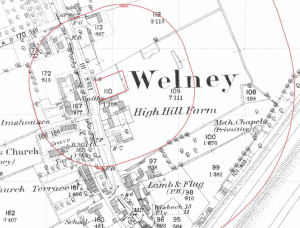 A smithy (20m south west), pond (85m east) and a graveyard (70m south west) were identified on the O.S maps. 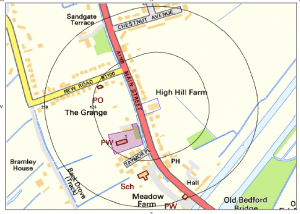 The review of the Groundsure data and Environment Agency data did not identify any further potential sources of contamination (landfills etc.). The walkover survey as undertaken on completion of the review of the historical and environmental data, at the time of the survey the buildings had been demolished and the materials from the buildings had been crushed and laid over parts of the site. 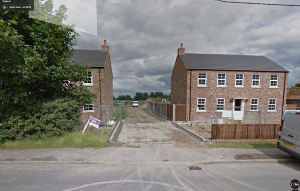 Based on anecdotal information all asbestos containing materials had been removed from he site prior to demolition hence it was proposed that the risk from the made ground was minimal and the removal of made ground from the garden and landscaped areas would be sufficient. 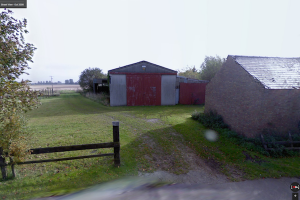 As there was no information on the previous uses of the buildings as they had been demolished prior to the walkover survey, and the absence of asbestos containing materials could not be demonstrated the conclusions of the desk study report were rejected. After liaison with the local authority, the desk study report was revised to include proposals for a site investigation to determine if the made ground was impacted by elevated levels of contamination, as well as to determine if the site was impacted by asbestos and if the previous uses of the site buildings have impacted site soils. Once the revised desk study report had been accepted, the site investigation was undertaken in March 2015. The intrusive investigation comprised of the excavation of fourteen trial pits across the site, made ground was encountered in all but one location to a depth of up to 0.5mbgl. Samples of both the made ground and natural soils were analysed to a broad range suite to determine if the site soils were ‘suitable for use’ as well as an asbestos screen on surface samples form all locations to deter mien if there had been any releases of asbestos. The assessment of the chemical data indicated that there was no risk to building fabric (concrete or water mains). The human health risk assessment indicated that the made ground was impacted by elevated concentrations of lead and a number of polycyclic aromatic hydrocarbons (PAH’s). The asbestos screen identified asbestos fibres in two surface samples across the site, as no other positive results were identified, the fibres were determined to be isolated ot the surface soils. The chemical analysis also identified that the phytotoxic element boron was present at concentrations that may pose a risk to flora. Based on the assessment a refined conceptual model was created and based on the trial pit section sheets two feasible remediation options were given (removal of made ground – source removal, or the placement of a 600mm cover underlain by a geotextile – pathway breaking). The recommendations of the report were accepted by the local authority. Prior to development commencing, the methodology of how the remediation would be undertaken and how the remediation would be validated needed to be approved by the local authority. The Phase IIIa Implementation Plan was prepared in September 2016 which confirm the preferred method of remediation, methodology for validation of the remediation and details of the geotextile and imported topsoil. Once the Phase IIIa plan had been accepted all pre commencement conditions had been discharged and development started. The remediation was completed January 2017 and the remediation was validated by Demeter Environmental, the site visit comprised of the excavation of and held trial pits at random locations in the gardens to demonstrate the geotextile had been laid at the base of the topsoil, the depth of the topsoil and to allow samples of the topsoil to be taken to demonstrate the cover material was ‘suitable for use’.